Johannesburg (AFP) - The top decision-making body of South Africa's ruling ANC will meet on Monday following days of talks over President Jacob Zuma's expected departure from office, a party spokeswoman said Sunday. "An NEC (national executive committee) meeting is scheduled for tomorrow in Pretoria," ANC spokeswoman Khusela Diko told AFP, declining to reveal the meeting's agenda. South Africa's president-in-waiting Cyril Ramaphosa has said negotiations should be concluded within days. 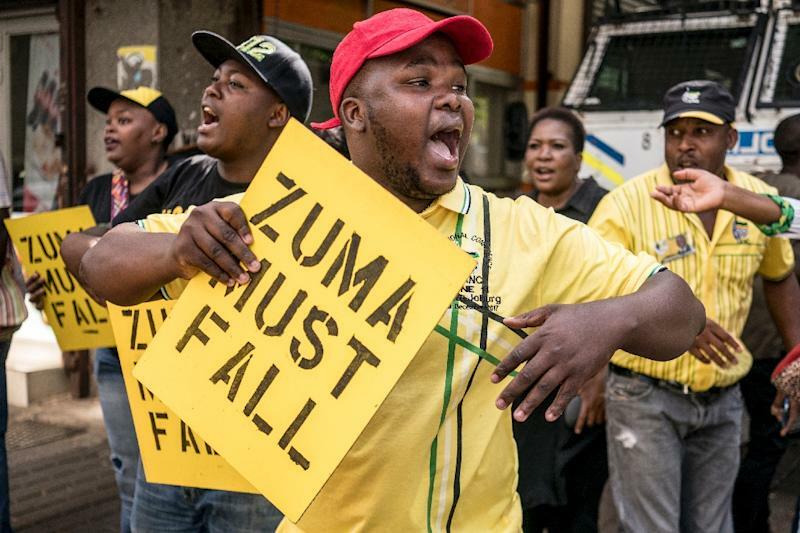 But Zuma, whose presidency has been tainted by graft scandals, has clung to power after rejecting a request by senior officials of the African National Congress to resign a week ago. The stalemate over Zuma leaving office has left South Africa in limbo, with a series of public events cancelled last week including Thursday's State of the Nation address to parliament in Cape Town. Zuma's hold over the ANC was shaken in December, when his chosen successor -- his former wife Nkosazana Dlamini-Zuma -- narrowly lost out to Ramaphosa in a vote to be the new party leader. Ramaphosa will address a major ANC party rally in Cape Town on Sunday. The rally is part of ANC celebrations marking 100 years since Mandela's birth, as Ramaphosa tries to revive the party's tarnished reputation.